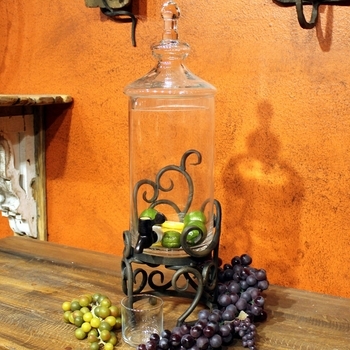 The perfect vessels for hostesses who like to mingle. 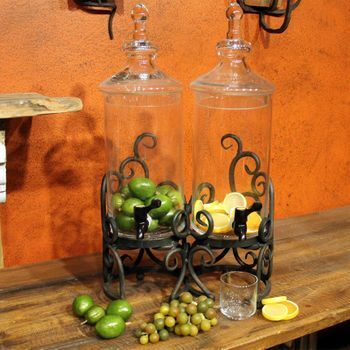 Fill them, chill them, and let guests serve themselves. 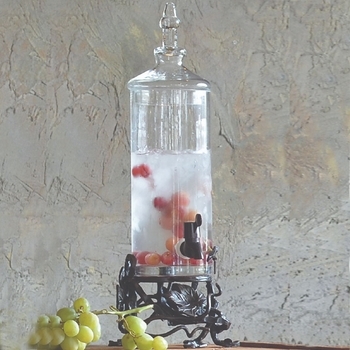 Extraordinary glass and iron dispensers that come in single, double and triple spigot varieties…feature a white and a red, lemonade and iced tea or true bar back basics. Hands free hospitality!